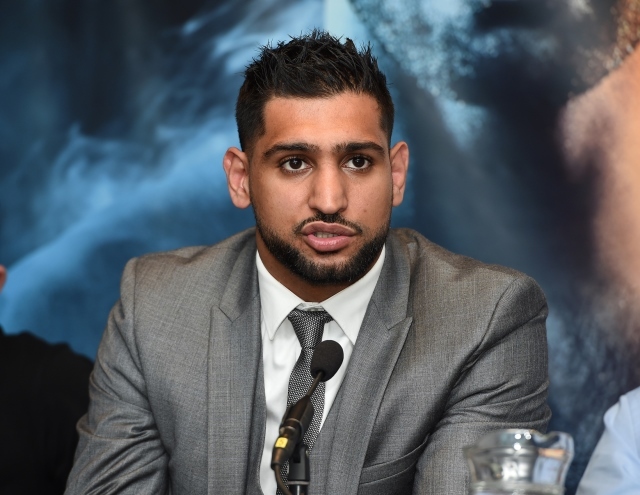 British superstar Amir Khan is hoping to secure the biggest victory of his long career, when he attempts to unseat a boxer that many recognize as one of the best pound-for-pound fighters in boxing. Khan will challenge undefeated WBO welterweight champion Terence Crawford on April 20th at Madison Square Garden in New York City. ESPN Pay-Per-View will carry the contest. Crawford, a three division world champion, is a massive favorite to defeat the 2004 Olympic silver medal winner. Khan has won two fights in a row, since suffering a brutal sixth round knockout at the hands of then WBC middleweight champion Saul “Canelo” Alvarez in May of 2016. For that bout, Khan moved up to a catch-weight of 155-pounds. Khan did very well in the early rounds, but he was eventually caught by a huge shot that knocked him out cold in the sixth. “Canelo was very big, very heavy,” Khan said. This is a good fight. I like Khan because he's always shown heart even if he says stupid crap from time to time. Crawford is also a favorite of mine because of his patience and how he earns each win. Khan has indirectly been dismissing Horn so when Crawford slices and dices him he should take Horn on next fight.